Microsoft launches Word Flow Keyboard app for iPhone. 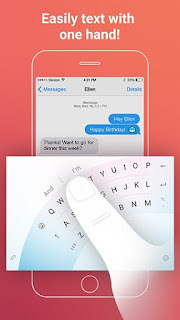 Microsoft has today announced the launch of Word Flow Keyboard app for iPhone. Word Flow is a blazing fast keyboard with free customization and Arc mode for one-handed typing. Word Flow Keyboard on iOS is optimized for iPhone, and supports English language only.